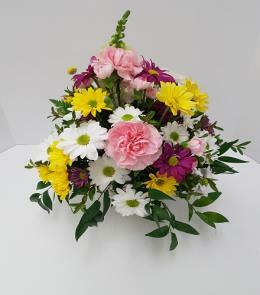 The floral designer will make your order to suit the occasion using locally available flowers of the best quality. 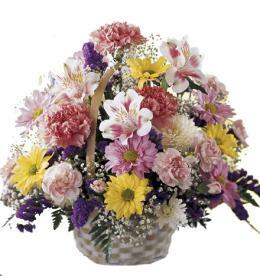 The design will always be made suitable for the occasion and for the location of delivery.
. Value priced flower arrangement below $60.00 - Arrangement of Cut Flowers - florist designed. 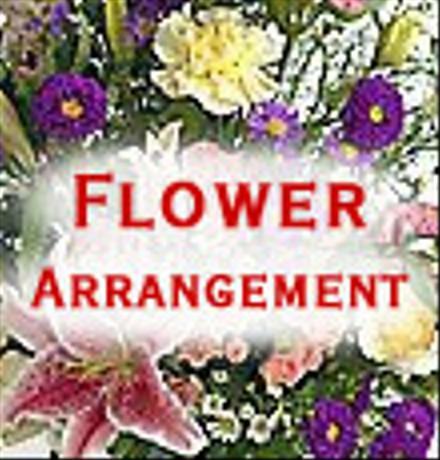 Florist Notes: Arrangement of Cut Flowers - designed and delivered by the local florist. 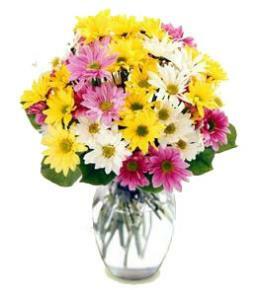 You may ask for colors and or flowers which will be included if available. 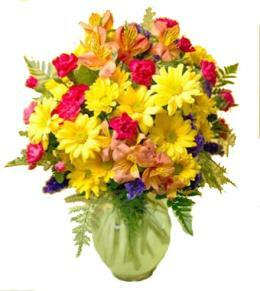 Arrangement Details: You may request colors and flowers. Just tell us please. 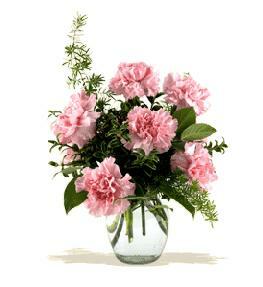 Allow enough time for the florist to order your flowers from the grower on special orders. 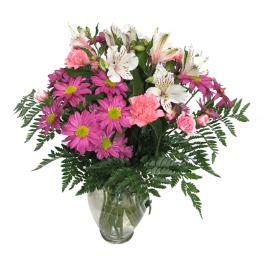 You may also ask for flowers and colors to be omittted to please the recipients.